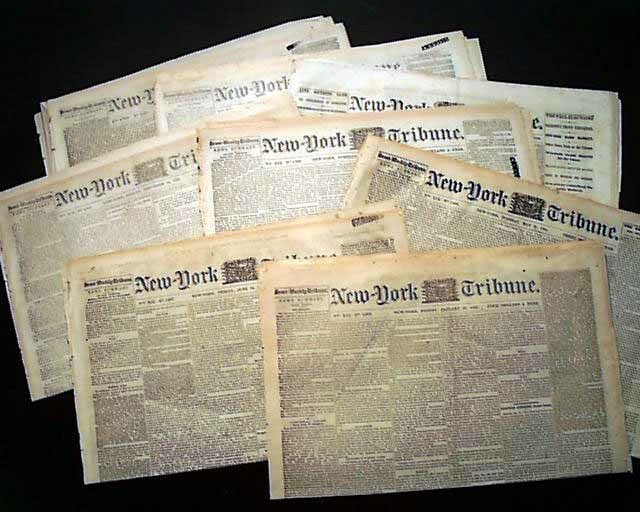 NEW YORK SEMI-WEEKLY TRIBUNE lot of 8 issues dated Oct. 21, 1862 (Shiloh content); Oct. 16; Nov. 4, 13, 17, 1863; May 31; June 10, 1864 & Jan. 27, 1865. All have front page & inside page war-related content with small headlines yet fine war coverage. Each complete in 8 pages, some partial separation at the spines, generally in very nice, clean condition.